Although its capabilities are improving, planned implementation is questionable. Late last month, on April 27, India was reportedly able to conduct a successful test fire of an anti-ballistic missile system, with an incoming missile apparently intercepted at high altitude. India’s indigenous missile defense program involves a two-tier system that includes both exoatmospheric and endoatmospheric interceptors. These interceptors are reportedly able to intercept incoming ballistic missiles. 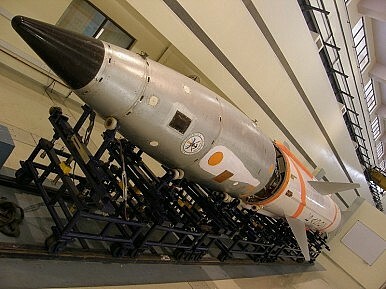 The target missile for the test was apparently a mimic of the Prithvi II variant. The interceptor was reported to be a component of the Advanced Air Defence (AAD) program of the Defence Research and Development Organisation (DRDO). The Statesman reported the test as involving an exoatmospheric interceptor missile. This missile is reported to be capable of intercepting incoming missiles with ranges of 2000 km. According to reports, India’s DRDO has successfully conducted six interceptor missiles that include endoatmospheric and exoatmospheric interception. With both Prithvi Air Defence (PAD) and AAD being developed, India can now intercept incoming missiles from 100 km away. According to reports, India will now seek to develop missile interceptors at altitudes of above 150 km. The Prithvi Defence Vehicle used for these tests will be used for intercepting missiles above 100 km. It is reported to be a two-stage interceptor to be powered by solid propellants. It would be fitted to a system that would control the vehicle even at altitudes above 150 km. The DRDO will also develop advanced software systems to achieve a high hit-to-kill probability. The interceptor is expected to replace the PAD interceptor in the future. India tested its interceptor missile for the first time in 2011. In 2012, the DRDO confirmed that the Phase I of the BMD system would be deployed by 2014. The DRDO confirmed that the BMD system would be implemented in cities like Delhi and Mumbai and later used to cover other cities. As India’s immediate neighbors are enhancing their ballistic missile capabilities and with a nuclear doctrine of no first use, India requires a robust missile defense system that can intercept incoming missiles from adversaries. While India had used a Prithvi II variant as a target missile, interceptors must also be tested on solid propellant ballistic missiles, since these could be difficult to intercept given their reduced launch preparation time. Moreover, states like China and Pakistan are developing countermeasures for their ballistic missiles, including multiple independently targetable reentry vehicles (MIRVs), maneuverable reentry vehicles (MARVs), chaffs, decoys, missile trajectories that are either lofted or depressed, and the use of cruise missiles. Thus, to believe that developing an interceptor missile could assure protection against ballistic missiles is folly. New Delhi would need significantly greater missile defense capabilities before it could successfully intercept incoming missiles. It would also need to concentrate on a boost-phase missile defense system, a difficult task that even the U.S. has been struggling with. A boost-phase system could enable India to intercept missiles before the countermeasures are released on the missile. It could be supported by a midcourse phase missile defense system, which would enable the missile to be intercepted during the midcourse phase should the boost phase fail, while reducing the burden on the terminal phase. India plans to implement this system in its major cities, meaning that the system would be used to protect countervalue targets. However, defending countervalue targets is a herculean task. Rather, the DRDO should concentrate on defending counterforce targets so that India is able to conduct successful retaliatory launch and also a second strike should the need arise. Moreover, defending countervalue targets reduces the efficacy of the mutually assured destruction strategy on which nuclear deterrence is based. In fact, this was one of the major reasons why the Anti-Ballistic Missile Treaty came into being during the Cold War, since anti-ballistic missiles were protecting U.S. and Russian cities, thereby negating the concept of MAD. Moreover, India also plans to develop MIRVs, which in the Cold War era were regarded as first strike weapons. The development of a ballistic missile defense system could make both Pakistan and China suspicious of India’s no-first-use policy. Thus, New Delhi would need to make it clear that the BMD is in fact a vital element in strengthening the policy; that is, the system would be used as a defensive system. This means that if an adversary launched a nuclear strike on India, the ballistic missile defense could be used to prevent a nuclear attack and thereby strengthen New Delhi’s ability to retaliate. Debalina Ghoshal is an Associate Fellow at the Centre for Air Power Studies in New Delhi.